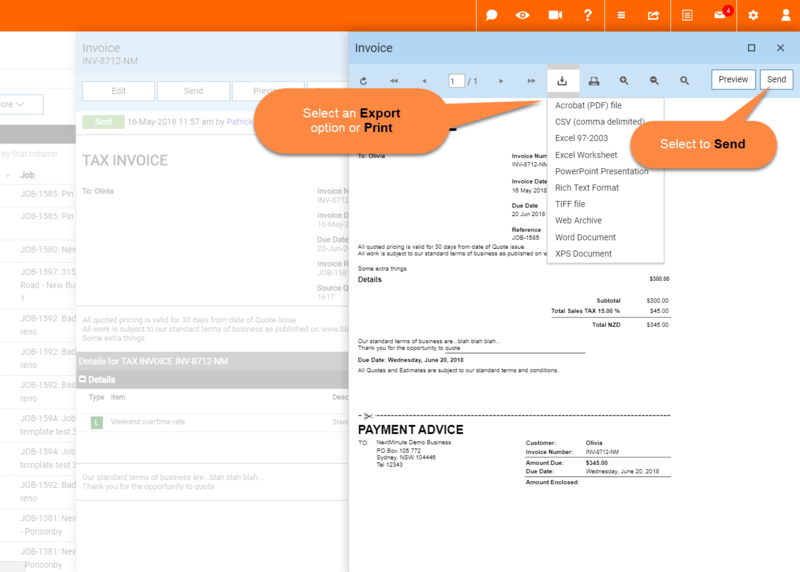 Create an Invoice from a Quote – Welcome to the NextMinute support and feedback centre. In this article we take you through the steps in creating an Invoice from an existing Quote. We will select to invoice Part amount. Select the amount you would like to invoice by entering the Percent amount or Dollar amount and hit OK. Select to Export from the options, Print or select to Send. After selecting Send, select a recipient from the list or Add Recipient and select a recipient from your contacts.